New Delhi : Supreme Court on Tuesday refused to accept Bahujan Samaj Party Chief Mayawati's plea against the Election Commission's 48-hour nationwide ban on her from campaigning. Mayawati had approached the apex body claiming that the poll body has taken the decision "under pressure" from the ruling dispensation. "All citizens have the rights to move about and put forth their point of view. But here, the Election Commission has suddenly given an order which has cruelly deprived me of my rights on the basis of wrong facts. This order will be remembered in the history of Election Commission as a black day," said Mayawati on Monday reacting to the EC order. 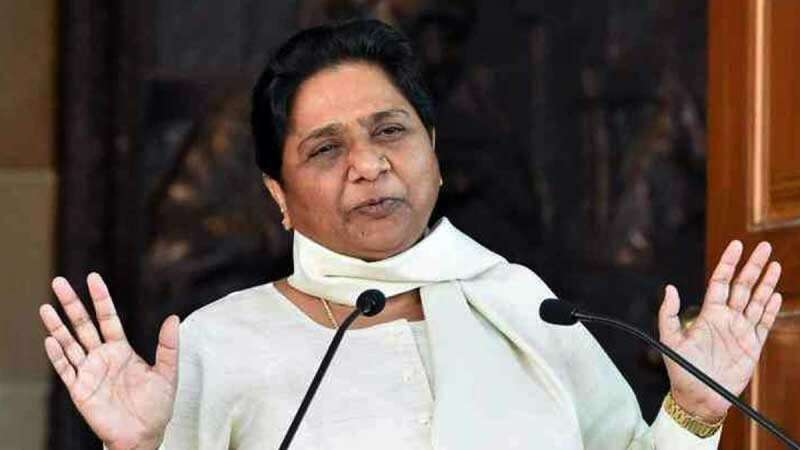 The Election Commission banned Mayawati for 48-hours from campaigning in the ongoing Lok Sabha Election 2019 after the poll body found her remarks made during a rally in Uttar Pradesh "provocative". Holding an election rally in Deoband, Mayawati had appealed Muslim voters to vote for her party and alliance and not for the Congress to ensure that anti-BJP votes are not divided. Following Supreme Court's direction, the Election Commission imposed a ban on top political leaders including Mayawati for their speeches.